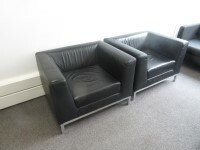 Floors 5 & 6 - Meeting Rooms 601, 603 & 604, Business Suite. 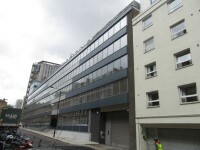 Bidborough Street is located in Euston, accessed off the Euston Road (A501). If you are driving to Bidborough Street, please be aware that it is located within the Congestion Charge Zone. 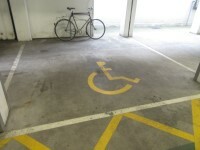 There is parking available for visitors at this building. British Library Bus Stops B and C are both located on the Euston Road to the rear of this building. They are served by buses 10, 30, 59, 73, 91, 205, 309, 476, N73, N91 and N205. 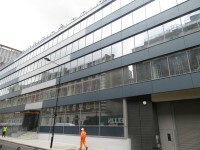 Euston, St Pancras International and King's Cross stations are all within 400 metres of this building, located just off the Euston Road. Euston and King's Cross St Pancras Underground stations are both within 400 metres of this building. These stations are served by the Circle, Hammersmith and City, Metropolitan, Northern, Piccadilly and Victoria lines. Euston Railway Station is also on the London Overground line. The car park can be used by visitors and Blue Badge holders. The car park is located underneath the building. 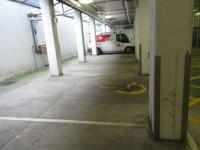 The dimensions of the designated parking bay(s) are 380cm x 425cm (12ft 6in x 13ft 11in). The nearest designated bay is 12m (13yd 4in) from the car park entrance. The on street standard parking bay(s) is/are located on Bidborough Street. All visitors wishing to use the car park must book in advance. You are on Outside Access (Car Park). Skip to the next section. 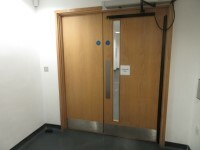 The width of the door opening is 215cm (7ft 1in). The second entrance door is double but only one door opens automatically the other can be opened manually creating a width of 176cm. This information is for the entrance located off Bidborough Street. The width of the ramp is 92cm (3ft). There is / are 6 step(s) to access the entrance. 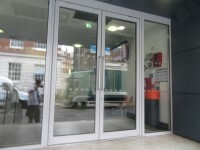 There is an alternative set of manual, heavy double doors that open towards you, with a width of 160cm. These can be seen in photograph 5. 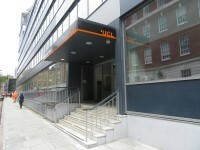 You are on Outside Access (West Entrance). Skip to the next section. This information is for the entrance located off Mabledon Place. The intercom is at a height of 140cm. The step(s) is / are located immediately beyond the entrance. There is / are 4 step(s) to access the entrance. There is a lift to access this entrance. 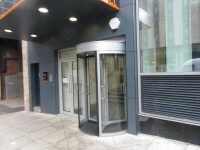 There is also a revolving entrance with a width of 76cm. You are on Lift (West Entrance). Skip to the next section. The lift is located in front of you on entrance. 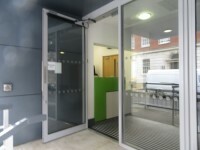 The lift is approximately 3m (3yd 10in) from the Mabledon Place entrance. 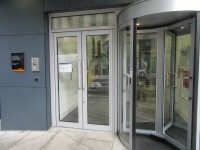 The lift door is manual, light and opens outwards. 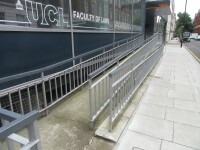 There is a small ramp to access the lift on the lower level. You are on Reception (Main Reception). Skip to the next section. The main reception is located to your left on entrance. 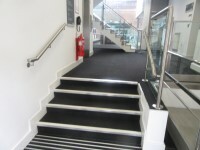 There is step free access throughout the majority of the building, via lift. There is a hearing loop located in G17. 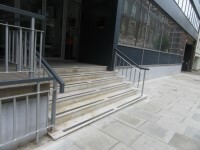 The floors which are accessible by stairs are B-G-1-2-3-4-5-6. There are manual, heavy, single doors to access the stairwell on the basement floor. There is a similar staircase to the west of the building. 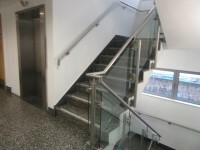 The lift is located in the main entrance foyer. 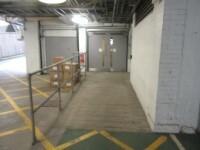 There are manual, heavy, single doors to access the lift lobby on the basement floor. The lift is approximately 6m (6yd 1ft) from the main entrance. 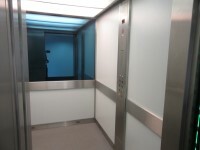 The dimensions of the lift are 150cm x 188cm (4ft 11in x 6ft 2in). You are on Lift (West Staircase). Skip to the next section. The lift is located to your left on entrance. 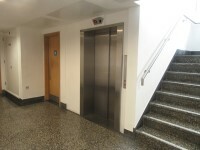 There are manual, heavy, single doors to access the lift lobby on all floors. 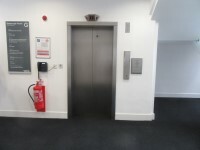 The lift is approximately 4m (4yd 1ft) from the Mabledon Place lift. 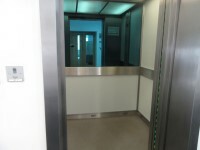 The dimensions of the lift are 164cm x 118cm (5ft 5in x 3ft 10in). You are on Reception (Human Resources). Skip to the next section. The human resources reception is located to your right on exiting the lift on the second floor. The desk is 7m (7yd 1ft) from the lift. 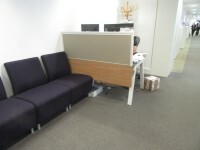 There is a small waiting area that can be seen in photograph 2. You are on Reception (Estates Reception). Skip to the next section. The estates reception is located to your right when you exit the lift on the third floor. 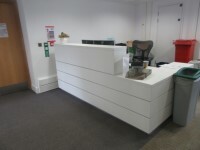 The desk is 10m (10yd 2ft) from the lift. At time of survey signage sent you in the wrong direction. 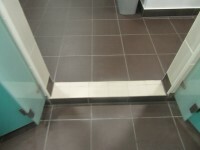 This accessible toilet is approximately 7m (7yd 1ft) from the main entrance. 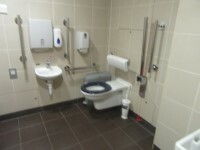 This accessible toilet is located to the left of the main entrance foyer. The door opens inwards (automatically). The door is locked by a push button or pad. 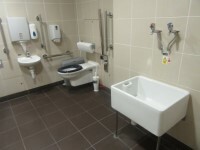 The dimensions of the accessible toilet are 270cm x 273cm (8ft 10in x 8ft 11in). The lateral transfer space is 107cm (3ft 6in). 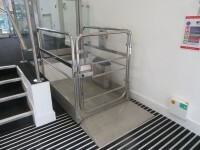 You are on Accessible Shower (Ground Floor). Skip to the next section. 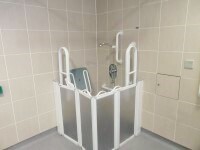 The facilities available in the accessible shower(s) include; an adjustable shower head, handrails and a flip down seat. The height of the seat is 44cm (1ft 5in). You are on Accessible Toilet. (West Stairwell First Floor). Skip to the next section. This accessible toilet is 4m (4yd 1ft) from the west lift. 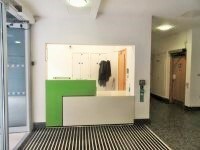 This accessible toilet is located in the west stairwell and lift lobby on the first floor. The dimensions of the accessible toilet are 285cm x 192cm (9ft 4in x 6ft 4in). The lateral transfer space is 114cm (3ft 9in). The toilet is also marked as a standard shared toilet. You are on Accessible Toilet. (West Stairwell Second Floor). Skip to the next section. 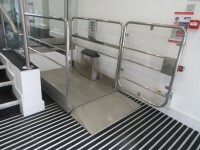 This accessible toilet is located in the west stairwell and lift lobby on the second floor. There are similar toilets in the same location on floors 3-6. 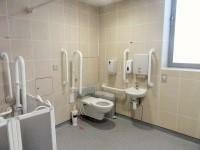 The dimensions of the accessible toilet are 157cm x 212cm (5ft 2in x 6ft 11in). 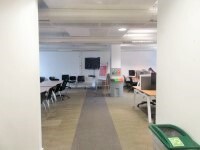 There are shared standard toilets facilities on the ground floor, the second floor, the third floor, the fourth floor, the fifth floor and the sixth floor. 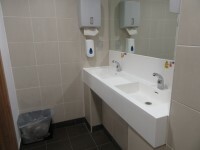 There are female standard toilets facilities on the first floor, the second floor, the third floor and the fourth floor. 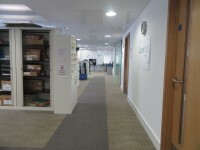 There are male standard toilets facilities on the first floor, the second floor, the third floor and the fourth floor. The toilet surveyed is located to the right of the main entrance foyer. The standard toilet surveyed is approximately 7m from the main entrance. 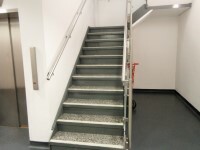 The standard changing room(s) surveyed is/are located on the basement floor between the doors the car park entrance doors. There is an easy step to access the shower. You are on Emergency Egress for Building. Skip to the next section. To view the full Estates fire safety handbook/ Emergency Plan for Bidborough House please click here (new tab). The building does have a Deaf Messaging System (DMS). To view more information on the Deaf Messaging System please click here (new tab).